In the 19th century, taxonomy -- the classification of living organisms -- was all the rage in biology. Both amateur and professional naturalists were so caught up in the craze of collecting and identifying creatures, rare beetles were hot commodities. At the time, little was known about microorganisms and their place in the world of living things, and the classification of microbiology didn't receive as much attention. The intervening decades have seen a dramatic increase in knowledge of microbes and in methods of identifying microorganisms, with part of that increase demonstrated by the efficient classification of microorganisms. Taxonomy has three components: nomenclature, classification and identification. Nomenclature is simply assigning a name to a species. Classification is grouping species together according to shared characteristics -- some of which are physical, and some biochemical. Identification is using features of an organism to determine where it belongs in a classification scheme. The modern taxonomic scheme has as its largest, most inclusive group, the domains. The smallest group is the species. From the most inclusive to the most specific, the levels run like so: domain, kingdom, phylum, class, order, family, genus and species. You, for example, are Eukarya Animalia Chordata Mammalia Primate Hominidae Homo sapiens. Microorganisms are extremely diverse. They're not defined by any particular kind of structure or function, but simply by their size. Microorganisms are so divers that they fall within all three of the different top-level classifications -- all three domains. One domain is bacteria, the other is archaea and the final is eukarya. All the members of the bacteria and archaea domains are single-celled microorganisms. They're both cells without membranes separating their genetic material from the rest of the cell -- membranes that define a nucleus. So all kingdoms, phyla, classes, orders, families, genera and species within the bacteria and archaea domains are microorganisms. 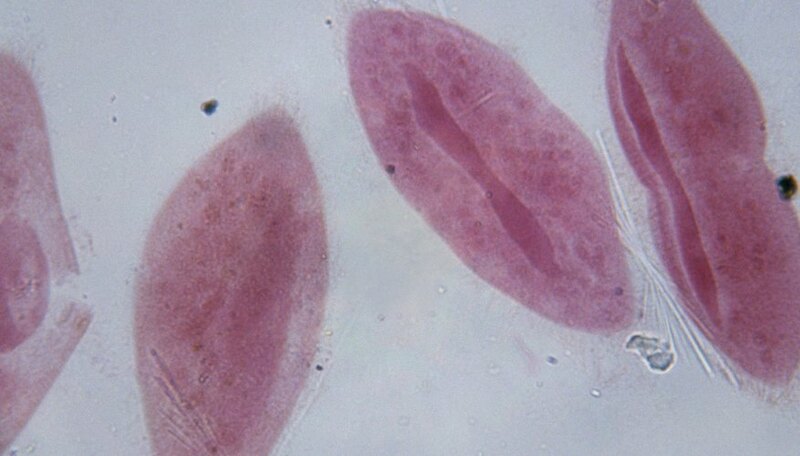 Eukarya are organisms whose cells contain a nucleus. Many eukaryotic organisms are single-celled microorganisms, but many others -- such as redwood trees, or you -- are not. So additional classifications are necessary. The kingdom Protista within the domain Eukarya is composed of only single-celled microorganisms. 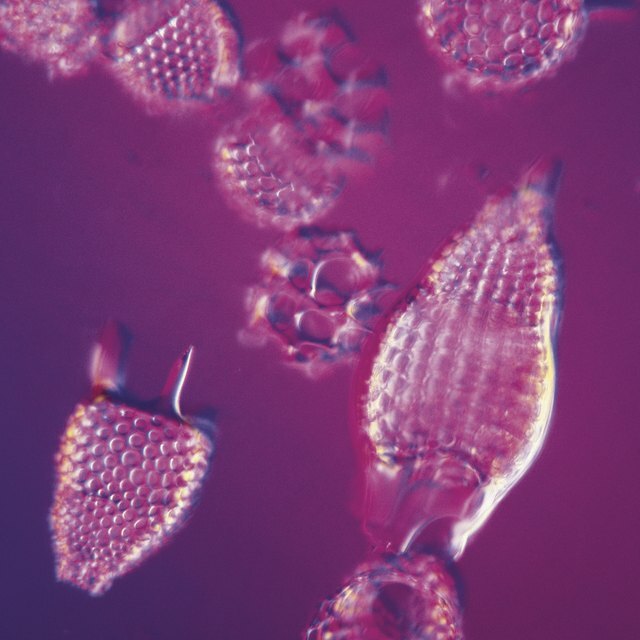 The protists are separated into three different groups of phyla: four different algae phyla, four different protozoa phyla and two different mold phyla. But all the organisms within these phyla -- all within the kingdom Protista -- are microorganisms. The kingdom Fungi is contained within the domain Eukarya. Some of the phyla within the Fungi contain microorganisms. For example, the phylum Zygomycota contains microscopic bread molds, and the phylum Ascomycota contains yeasts, and microbial crop pests and parasites. Lichens are a symbiotic assembly of a fungus and a photosynthetic organism -- contained partly within the kingdom Fungi and partly in other kingdoms, or even other domains. What Are the Three Major Divisions of Biology? Gaughan, Richard. "Levels of Classification of Microbiology." Sciencing, https://sciencing.com/levels-classification-microbiology-18493.html. 25 July 2018.